“OMG SYDNEY CROSBY IS SO HAWT!!! !” and “I want James Kneel NOW” are sadly common phrases that define Pittsburgh fan girls. There are sites to discuss who players are dating and a slew of other sources that these ladies flock to in order to get the most recent Intel on their favorite players. Puck bunnies and fan girls congregate at the bars these men frequent, most of whom are wearing the shortest dresses available (regardless of freezing temps), and more make-up than I ever knew existed in any store. Before we dive into this let me saying something now: there is a huge difference between a fan girl, and a female fan. It would serve most well to understand the difference. Fan girls generally cannot define “icing”, female fans can. Fan girls have absolutely no idea what the AHL is or how players get called “up” from there. Female fans do. I could keep going with this, but the point exists that there IS a difference and lumping female fans in with fan girls is inaccurate. And offensive. And a little pathetic. I remember a specific example of when I was lumped in with fan girls. About two years ago I was working a promo for Miller Lite in Mt. Lebo. There was a particular male who I was chatting with during a Penguins game. Somehow other players came up and he had a general comment along the lines of “you’re a chick, you probably could not name five players that aren't Sidney Crosby.” Now, anyone that knows me knows that this is not accurate. 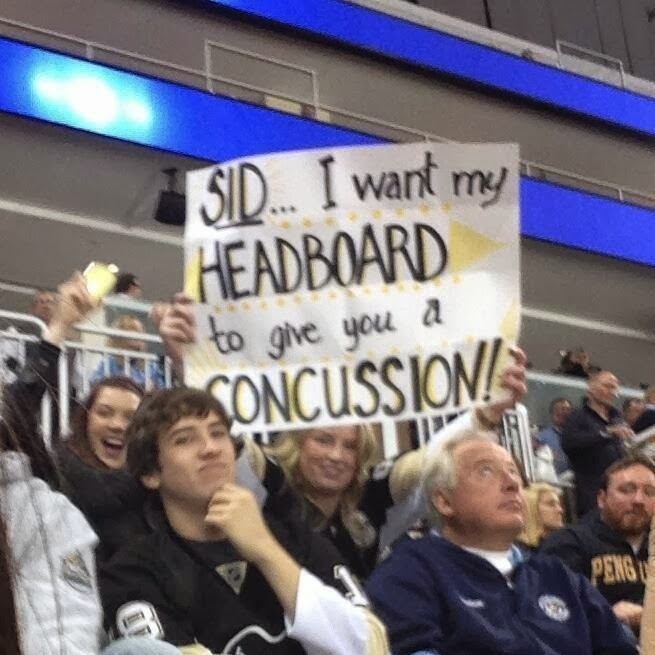 I would use two hour delays as an excuse to “stay up late” and watch Penguins games with my dad when I was nine. Somehow, I miraculously “managed” to name five players. Guy looked at me with a shocked expression. Seriously. Things like this are the issue. I am not sure if women realize that posting photos in booty shorts and a rolled up hockey jersey is not cute. It’ll get you followers, and favorites. It’ll probably get you creepy direct messages. It will never get you respect. I don’t disagree or deny that some of these women understand the game of hockey but such knowledge is overshadowed by the lack of clothing. It makes us all look bad and lumps us all into the category of “fan girl.” On behalf of ALL other women- please stop while you’re kind of ahead. Couldn't be any truer. I have Center Ice and can name scads of players on most teams. I have one particular "hockey love" that I'm completely devoted to, but he's married with children as am I, and I could be his teen Mom. Instead of acting silly, I send positive fan mail, cheering his goals & awesome play, and just generally being a supportive fan.